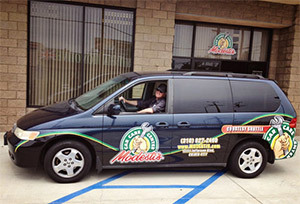 This California full service shop sought to update their existing auto repair logo design. Modesti’s was founded in 1972, and had built a sterling reputation for customer service. As such, the family owned automotive business needed to retain their brand’s traditional image, while adding a modern flair. Modesti’s requested to keep both their original font and colors. However, they could not provide me with image files of their existing logo. Since Modesti’s only provided photographs, I meticulously retraced their custom drawn script font. Next, I created an orange gradient effect in order to give the main title a high end shine. Finally, I added thick orange, white, and black strokes. These add depth, and also make the name pop off of the background. I then combined the familiar “Doughnut Frame” and “Hand Grasping Wrench” elements behind the name. Sometimes the most obvious solution is the best one! The bold white font spelling “Car Care Center” over the green circular frame hearkens another West Coast business institution, Starbucks. I styled the hand and wrench with detailed shadows and highlights. This creates a realistic illustration for this auto repair logo design. Finally, I embossed the shop’s establishment date on the chrome wrench. This is one last reminder of their strength and stability. I also provided the shop with simplified versions of the logo. 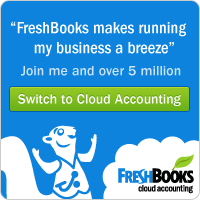 Both the black and white versions and solid color versions leave out the chrome and gradient. I also left out the extra details of the hand. 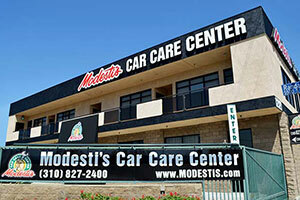 Modesti’s enhanced their brand via their shop’s signage and vehicle wraps. Here are some examples of how they used their logo. I have been working with independent auto repair shops for many years creating logos, websites, and more. 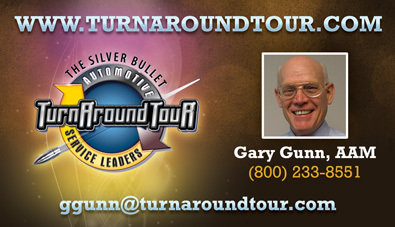 Contact me today to your automotive shop logo design needs.